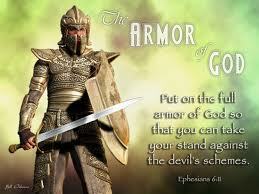 If you're just joining me, we're looking at the armor of God found in Ephesians chapter 6. In my last post, we discussed the belt of truth. In this post we'll be focusing on the breastplate of righteousness. One of my primary resources and a book I highly recommend is "Sparkling Gems from the Greek" by Rick Renner. The breastplate was created to protect an extremely vulnerable area - the heart. We must guard our hearts because we have an enemy, satan, who attempts to destroy them. How does satan try to destroy our hearts? By constantly accusing us (Rev 12:10) in an attempt to convince us that we're totally useless and have nothing to offer because we're unrighteous and unworthy. Nothing would make him happier than to have us give up before we ever get started. It is difficult for us to fend off satan's attacks in our own strength, because the truth is that not one of us is righteous. (Romans 3:10) To be righteous means to be completely free from guilt and sin, something unattainable on our own despite our best efforts. As I mentioned in my previous post, satan tells us what is true, but he never tells the truth! While it's true we have no righteousness of our own, the truth is that as children of God and followers of Christ we have been given His righteousness to put on. When we're knowingly in a state of unrighteousness, our breastplate will not fit well. In other words, sin we're aware of leaves us vulnerable to satan's accusations. Our self-righteousness will never protect us, which is why it's so important for us to put on Christ's righteousness. 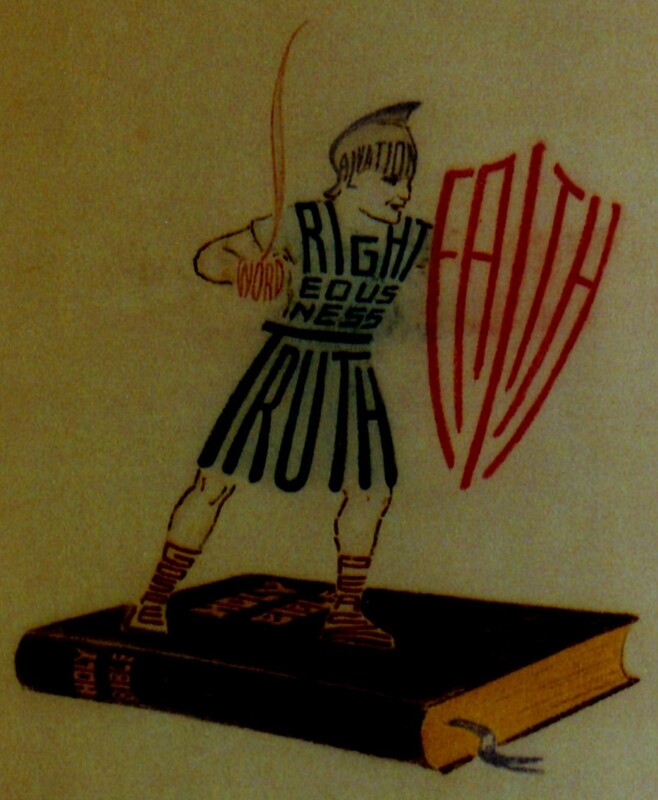 So, how exactly do we put on the breastplate of righteousness? First, it's crucial that we daily ask God to examine our hearts and reveal any sin we have so that we may confess it to Him and accept His forgiveness. Then, when satan points out our unrighteousness, rather than accept his accusations we remind ourselves that we have something even better - the righteousness of Jesus - which we can claim as though it were our own! This will enable us to reflect the righteous character of God in our actions, showing the love of Jesus to those around us. Father, I thank you that I don't have to rely on my own righteousness, which will always fall short, but that you have given me the rightousness of your Son Jesus to wear as my breastplate to guard my heart from the attacks of the enemy! WOW...i have really been enjoying your posts on this topic! This goes along with what my small group is currently studying so I've been directing my ladies to read your blog :) I love this portion of Scripture...we need to remember to guard against all of Satan's attacks!! thank you for your thots! Thanks for teaching about the breastplates of rigtheousnes. we all need Jesus righteousness and I am glad that He gives to all who ask. Dropping by from Spiritual Sundays. When I start succumbing to Satan's lies, my husband often reminds me where they come from, and helps me to see that I need to believe what God says about me instead of accepting the lies and meditating on them! I am blessed to have a husband that often recognizes that before I do! Hi Lisa ~ I came over from Spiritual Sundays. I think guarding our hearts is one of the most important things we do. I'm looking forward to reading more on your blog. Blessings to you! great teaching for me right now. Thanks Lisa....Standing strong and putting on that breastplate of righteousness right now. Guarding my heart against the enemy and through righteousness keeps me alert. When I'm not, trouble comes. This is excellent teaching and a good reminder for me. This is so important. We need the WHOLE armor of God, not just parts of it. Thank you for the encouraging post. Such a great teaching! Thank you for participating in the True Vine Challenge! Confession: For the longest time the idea of righteousness gave me this haughty feeling, like I'd done something myself. In recent years, however, I've come to a greater understanding that even my ability to behave rightly comes from God. I pray this insight has given me greater grace for others.